Set EXP GDC to 15 second delay and power always on using the little switches on the left. 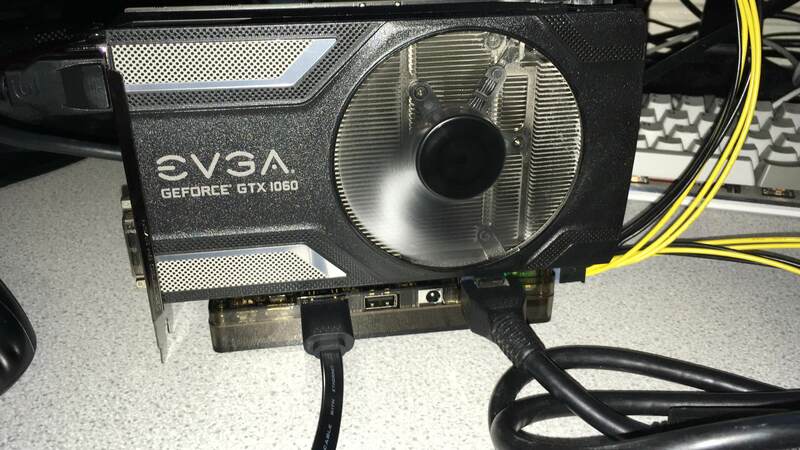 Put gpu in, connect 6 pin on EXP GDC to GPU. Hopefully it should now work! 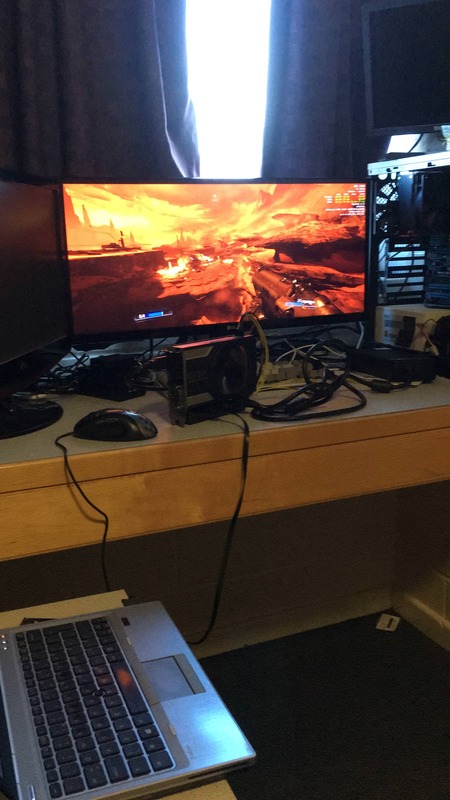 Benchmarks: None yet sorry, but I was getting 60fps mix of Nightmare/ultra/high on Doom 2016. Comments: My Dell DA-2 is super loud under load, electrical clicking sound. Any ideas why its doing this? Sorry I don't have more pics/benchmarks. Trying to focus on studies lol. Also it says test mode on the bottom right of my screen since doing the dstd override. How can I remove this? Thank you for your implementation guide. Please do add consider adding more to bring your gear to life. The System has detected that a Wireless module installed in the system is not supported and disabled it.